The number of nominations and quality of the work submitted for this year’s HITMC Awards, sponsored by Medigy, was simply incredible. The response exceeded all expectations. In each category, the Awards Committee had to carefully sift through multiple nominations. It was not an easy task for them to choose the Awards finalists, but after careful consideration they came up with the following short list. Thank you to everyone who submitted a nomination. Geri Lynn Baumblatt. Geri is a champion for family caregivers – the unsung heroes of healthcare who often shoulder the physical, financial, and emotional burden of care without any support. Geri is working hard to bring attention to the plight of caregivers so that programs can be created to help them as they take time away from work and give up their lives to care for a loved one. Grace Cordovano. Grace works tirelessly to keep the patient advocate voice strong in Health IT and healthcare conferences. She is frequently seen on panels, on Tweet chats and education events to maintain the voice of patients and fight for their rights to their data, to a better experience, to compassion and empathy within the health care journey. Grace always pushes people to always consider the patient perspective. She is a realist, genuine, inspiring, and creative. Cancer Treatment Centers of America for showcasing their technology, clinicians and offerings in a self-directed app. Renown Health for their thought leadership content marketing program featuring their CEO Dr Tony Slonim and nursing leaders. SickKids Foundation for their “VS” campaign challenging the community to help get involved in building a brand new hospital. FormFast for their Branded Socks. With socks being a big “HIT” in the close-knit health IT community (big nod to the amazing Pink Socks movement) – FormFast thought socks would be a great branding tool that attendees would appreciate. Scorpion for their Swell Water Bottles. Lots of companies gave away bottles this year, but Scorpion’s stood out for the quality of the bottle and the clean branding. They were the hit of the show. 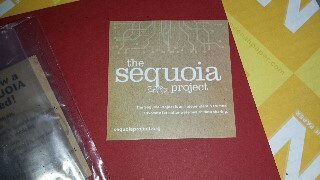 The Sequoia Project for their Sequoia Seeds giveaway. A packet of sequoia seeds with a disk of soil and planting instructions. Sequoia trees grow tall by interlocking the roots; they work together to succeed. SymphonyRM for their MetricMovers mini-figures. #MetricMovers: Custom Marketing Leader Minifigures designed to intrigue individuals and spark creativity while discussing health system goals.